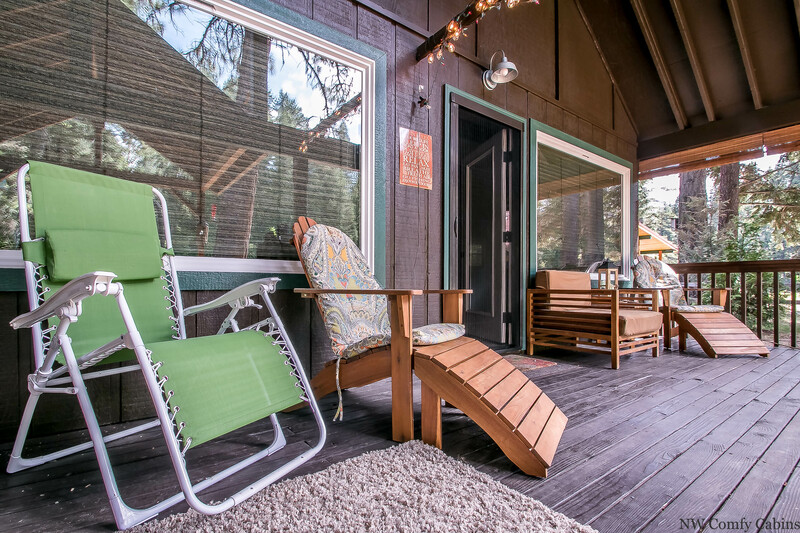 Just a couple of hours from Seattle on Hwy 2, this cozy and recently remodeled 1970s cabin has everything you need to get away to the woods and the river with all the comforts of home. It is just 45 minutes from Stevens Pass (snowsports in winter and outdoor activities in summer! 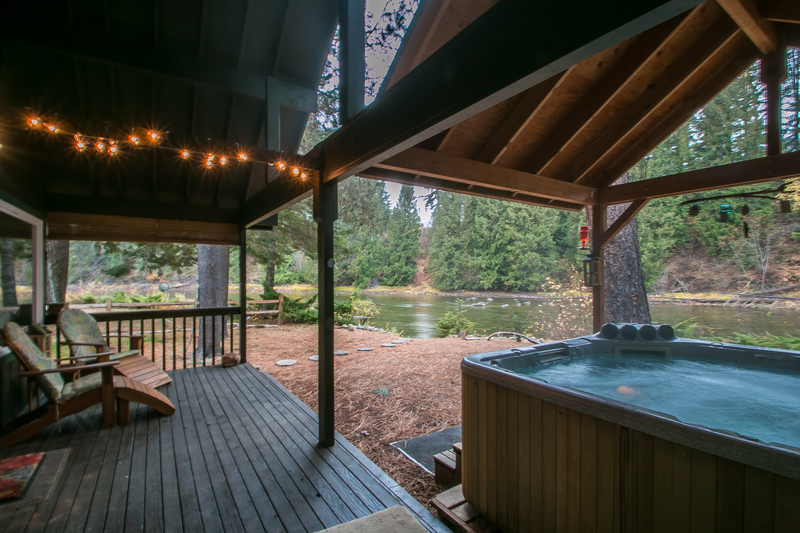 ), 30 minutes from Leavenworth, 10 minutes from historic Plain, and best of all 0 minutes from the low bank of the Wenatchee River. There are complimentary Wi-Fi and high-speed internet access. The master bedroom on the main floor has a king bed for the guests of honor, and upstairs you will find a guest bedroom with a queen bed and an open loft with both a queen and twin futon. 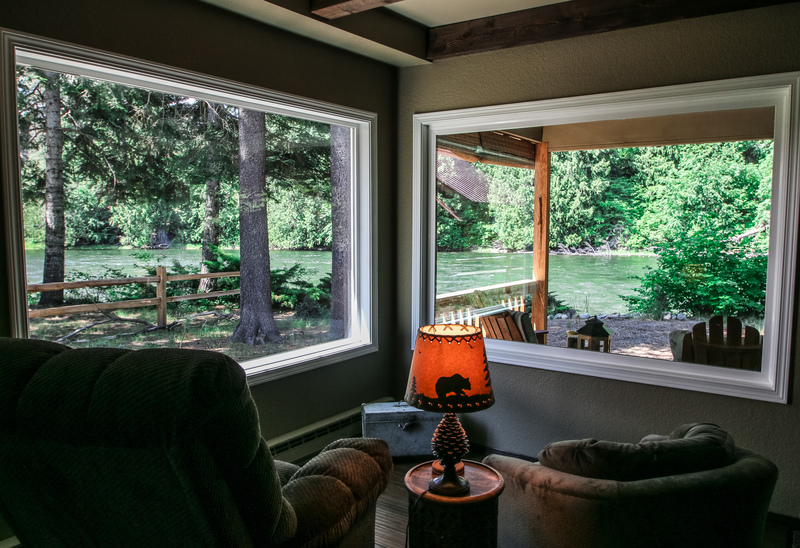 Comfy foam mattresses in the bedrooms and the gentle babble of the Wenatchee River right outside will lull you into a deep relaxing sleep after a hard day of watching the local birdlife from one of the three decks (take your pick to catch morning or afternoon sun). A more adventurous day of skiing or whitewater rafting with one of the many local outfitters may require an extended dip in the hot tub to work out the kinks. 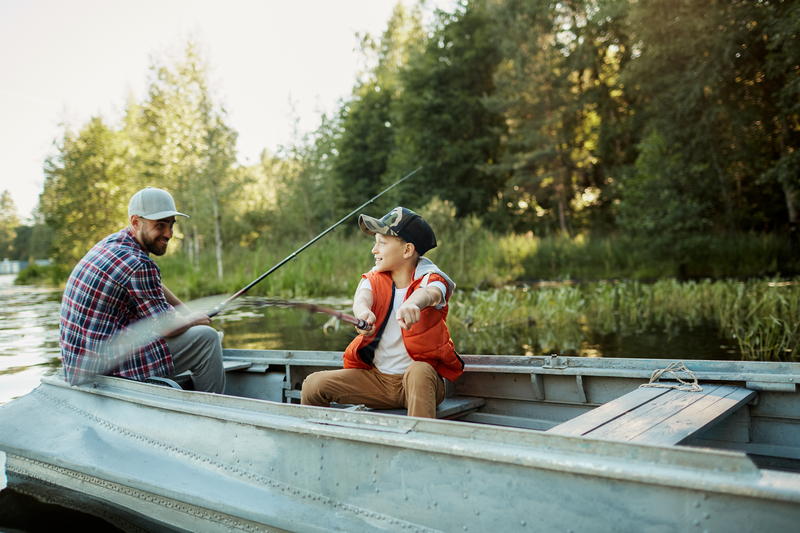 Night owls will enjoy sitting around the propane fire pit on the riverbank telling ghost stories (when allowed under local fire restrictions). Downstairs you will also find a living room and gathering area with flat screen TV, BluRay/DVD, HD cable with DVR, and AppleTV; two bathrooms with luxurious pebble-tiled showers; and a fully equipped kitchen, including dishwasher, coffee maker, French press, waffle iron, blender, and even a fondue pot to really take you back to the 70s! Or an outdoor grill is available for a little more fresh air. A large fireplace in the main living area really helps keep the whole family cozy in winter. Fees Vary By Season, Festival Dates and Holidays. The base rate for this property is for the first 2 guests. Any additional guests over 2 will be calculated at a fee of $25.00 per guest per night up to the maximum occupancy of 6 people. Children 1 and under are FREE. This home is NOT pet friendly. The house was great but but I felt like it’s location was misleading. We wanted to stay in Leavenworth in town and this hotel she was in Plain WA. I wish that would have been more clear. I am so sorry that you felt you were not aware of the location in regards to downtown Leavenworth. The listing does say that it is in Plain and the map shows the location. 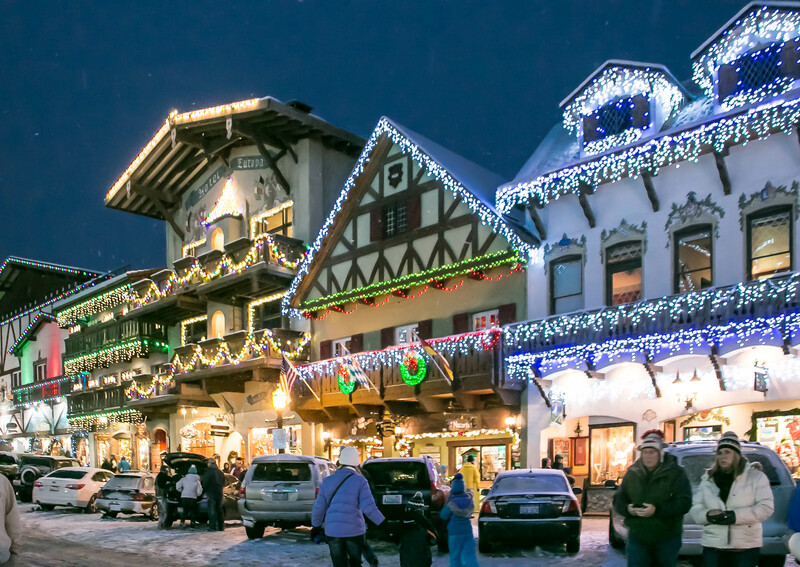 The address is Leavenworth, and the town is Plain. We do list that information because the entire area is so popular with tourists looking for many different adventures, people are often looking for several of the little townships all around downtown for a myriad of area attractions. We are always happy to speak with guests before booking, our contact number is on the website as well as email information so that we can assist guests with specific needs or interests. I hope that you were able to enjoy your time despite being further from downtown than you might have hoped for. In general, the 30 min drive is part of the fun of the area and people do enjoy getting to see our beautiful valley. Thank you for sharing and we sincerely hope that you will come back again to enjoy all that we have to offer. It was so nice and relaxing. My boyfriend and I had a wonderful, peaceful New Years here and love that the property is right on the river. We wish it would have snowed more, but it was an amazing vacation and we will definitely be back. The bed, kitchen and hot tub were all extra bonuses as well. Loved that all the Christmas decor still up and was very cozy and warm inside. Also liked the cabin decor of the place. Thank you for your comments. The Serendipity is a beautiful cabin for sure and we are so pleased you enjoyed the time you had at the cabin We look forward to having you back and hope that you make more wonderful memories each time you are here. Our party of 5 had a great time at Serendipity Cabin the first weekend of October. The cabin was fantastic - we were all 'wow'ed at the unique stonework and furnishings. The location was terrific - easy access to great hiking in the Cascades and so relaxing to be on the colorful and beautiful Wenatchee River. The hot tub was SWEET after a long day hiking. We are hoping to make this an annual reunion and will consider Serendipity in the future. Manager response on 2017-10-27 - Response from NW Comfy Cabins Inc. The directions were spot on. The cabin was in the best location and so beautiful. The amenities were top notch. We loved making fires in the fireplace each night after playing in the snow all day. All of the cozy couches and lazy boys were so great. We loved being able to watch the football game and be able to spend time outdoors too. A perfect place. We did not want to leave and we will be visiting again. The river front view, is absolutely amazing. My husband and I stayed for a week, and we were so pleased. The views are incredible the house is made for comfort. The bed was amazing! We both loved the kitchen. It was exactly what we needed. There is a house next door that is also a rental and we didn't have any neighbors until the last two nights. We didn't notice them much, there are privacy screens on the porch you can use to feel more private if that's what you need. Highly recommended. It is about 25 minutes into Leavenworth but a quick drive into Plain. This is perfect if you really want to get away. The cabin is well secluded in the woods outside of Leavenworth. Driving to the cabin from the airport was a beautiful experience filled with scenic mountains and orchards. Once there, the cabin looked even better in person than in the photos. The hot tub is relaxing, the creek outside is beautiful, the chairs are comfy. The cabin as a whole was a great choice. There is a small grocer close to the cabin for any last minute needs. There are tons of activities near the cabin. We went ATV-ing and and hiking. Just a great experience all in all. Everything was clean and organized when we got to the cabin. Everything worked. They had all the utensils we needed. Absolutely beautiful, wish we could have stayed longer. We loved the location! While it was a good 30 minutes from Leavenworth it was a beautiful drive. The house is charming and very comfortable. We loved the hot tub. The river out back is lovely and we enjoyed listening to the birds. We hoped to see some deer but never did. We are coming back next year for sure! This cabin is great. We stayed with another couple and the coziness of the cabin was perfect for relaxing and warding off winter's chill. The river running by outside gave a great ambiance to the whole experience as did the falling snow! Manager response on 2017-01-30 - Response from NW Comfy Cabins Inc. Warm and comfortable cabin, great view of the river, nice area for a long walk along the road in the snow. The only thing that could be better is more light in the living room, pretty dark at night if you are wanting to do anything other that watch the fire or read righ under a lamp. Manager response on 2017-02-28 - Response from NW Comfy Cabins Inc.
Our group had an amazing time at Serendipity. The river was beautiful and we enjoyed being able to step outside of our cabin to enjoy the sun and floating in the water, watching kayaks float by. The hot tub was great, and there were tons of beautiful birds, squirrels, chipmunks and other wildlife to enjoy. We felt like we were in the middle of nowhere, which was exactly what we were going for. Every detail was tended to in the cabin. We just really enjoyed every minute. Would have loved to stay longer. Everything was great, really nice and clean. Manager response on 2017-09-11 - Response from NW Comfy Cabins Inc.
Everything was perfect. Decor, supplies, location. Sitting on the patio with a warm blanket looking at the water and fall colors was magical. Manager response on 2017-10-20 - Response from NW Comfy Cabins Inc. If my husband and I had stayed for a week alone this would have been a near perfect retreat. However we had our son with us and soon discovered that there were too many hazards to really make this cabin appropriate for young children. The river access and hot tub were not our concern - the main concern was that the banisters upstairs are so widely spaced our two year old could have walked through without even turning to the side! I would have thought it against code but for us it meant the entire upstairs was out of bounds. Our son couldn't sleep alone downstairs either because there is a sliding door in that bedroom leading straight to the river. Other rentals noted when inappropriate for small children so we don't fault the house but its marketing. Otherwise the kitchen is well stocked, and ample linens were provided. 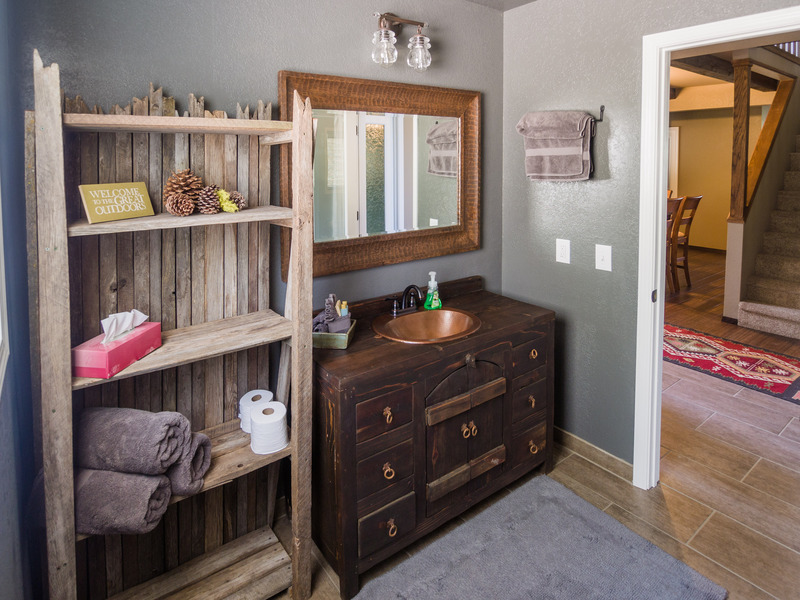 The renovations are a nice blend of modern and woodsy, especially the river rock showers. The back porch was a very restful spot to just sit with a glass of wine. There is a house right next door, but it was empty while we were there. I would certainly recommend this cabin to any couple or family with children older than five! This was one beautiful and wonderful property! Couldn't wait to open my eyes in the morning, brew some coffee, and sit on the deck and gaze at the river. We traveled with our two adult children and they were totally blown away. My daughter walked up and down the river looking for animal tracks. The colors were turning and there were some beautiful maple trees right across that were wonderful. House itself was gorgeous and whoever the designer was did an outstanding job with furnishings, floorings, etc. Only negatives would be the lighting was very dim in bathrooms and living room. One couldn't read except for under the dining light and putting on make-up was iffy in the bathroom. Bathroom fan didn't seem to be working very well (very quiet). Would DEFINITELY stay again. If you would want to go into Leavenworth more than once a day it would probably not be the place you would want to stay as road is very windy through the mountains. But maybe that's just me. Places next to us were both vacant so it was very secluded and peaceful. LOVED IT!! Manager response on 2015-10-12 - Response from NW Comfy Cabins Inc. There is a home right next door which looks into the backyard and hottub. We were lucky enough to not have any guests staying in that home during our stay. Other than this one item we can't find any fault with Serendipity. This cabin is beautiful. It's feet from the river and very secluded. We rented the cabin mostly because of the river access and it did not disappoint. We also were lucky enough to see multiple deer on the property in the morning. The cabin itself is very clean and comfortable. In addition to cable TV and internet, they provided an Apple TV to use. There is another cabin next door which looks into part of the hot tub, but they have shades to pull down so it's completely private. Two things I wish I had known ahead of time: 1) We couldn't find a hair dryer which I thought was just plain odd. 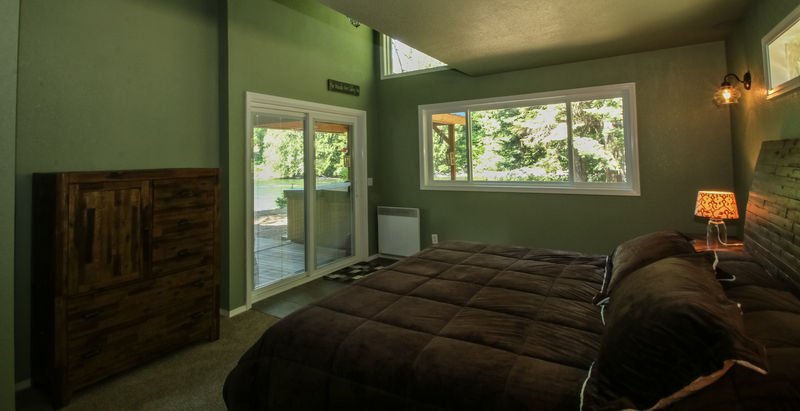 2) The master suite has several windows without shades, so good to know if you are a light sensitive sleeper. I couldn't have asked for a better place to spend the weekend with my family. The cabin is beautiful. The river is so close and relaxing. Serendipity is exactly the correct word to describe this amazing hideaway!